Is the pain in your neck making life miserable? Do you have back pain that just won’t go? Could stress be at the root of it? It may be that you’ve slept in an awkward position, or strained your back by lifting something heavy. But the cause of your pain may have started in your head, as stress – and if that’s the case, it’s probably going to take more than just painkillers to make you feel better. These are some of the symptoms of stress. 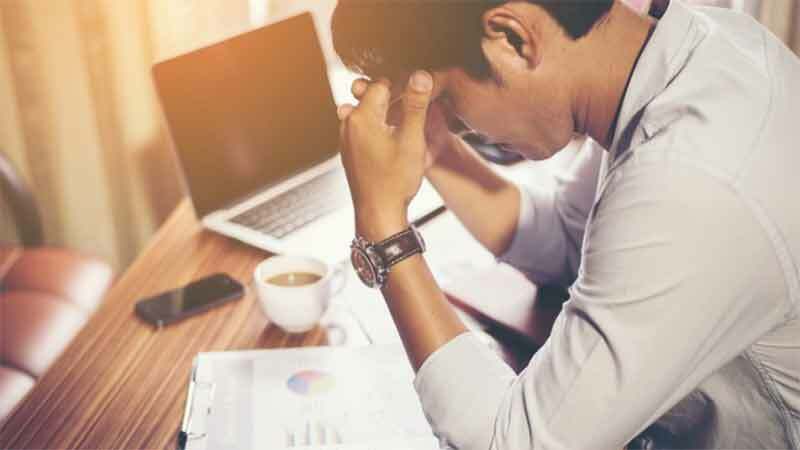 Unfortunately, we can be so stressed that we can’t always see the connection between what’s going on in our minds and our physical symptoms. Stress can come from many sources – family, friends, neighbours, money, loneliness, grief, your work or volunteering – problems and situations that can affect us all. You may have heard of the fight or flight mechanism. We all have this – it dates back to our ancient ancestors who often had to fight or run to keep attackers at bay, or to hunt wild animals, and to stay alive. ‘This is your body’s way of getting you out of danger,’ explains Tim Allardyce. ‘When we are stressed our bodies release high levels of Cortisol and Adrenaline, which activates our sympathetic nervous system. ‘By doing this your body gives you a huge burst of extra energy, to help you run faster, and give you extra strength. It can also dilate your pupils, so you can see better.’ All these changes can increase your chances of escaping from a predator or catching something to eat. This series of changes would have helped our ancestors survive in times of danger. Most of us don’t need this reaction on a daily basis, unless we are in a life or death situation, but our stress responses are still active, and can cause pain and stress. And some of these conditions – depression for instance – can actually make your existing pain worse, creating a cycle of pain. If left untreated, the pain and the stress that has caused it may well become worse. Finding the source of the stress is an important first step, as you can then look at ways of dealing with cause of your pain. Talking your problem through with someone close to you can be helpful. This may help you to see the problem from a different perspective, and to find a way of reducing your stress levels. Also, talk to your doctor – they will have seen many other patients struggling with stress-related pain. Your GP may recommend Cognitive Behavioural Therapy (CBT) – as this is often prescribed for people who have chronic pain, and gentle exercise, such as swimming, as this also helps. Make sure you keep in touch with family and friends, try to do something you enjoy every day, and keep as active and social as you can.